An announcement from the Tree Care Industry Association, Inc.
ArborCare Tree Service Ltd., a commercial tree care company located in Calgary and Edmonton, Alberta, and Vernon/Kelowna, British Columbia, has been accredited under a new Tree Care Company Accreditation program administered by the Tree Care Industry Association (TCIA) and built on the threefold foundation of ethics, quality and consumer confidence. 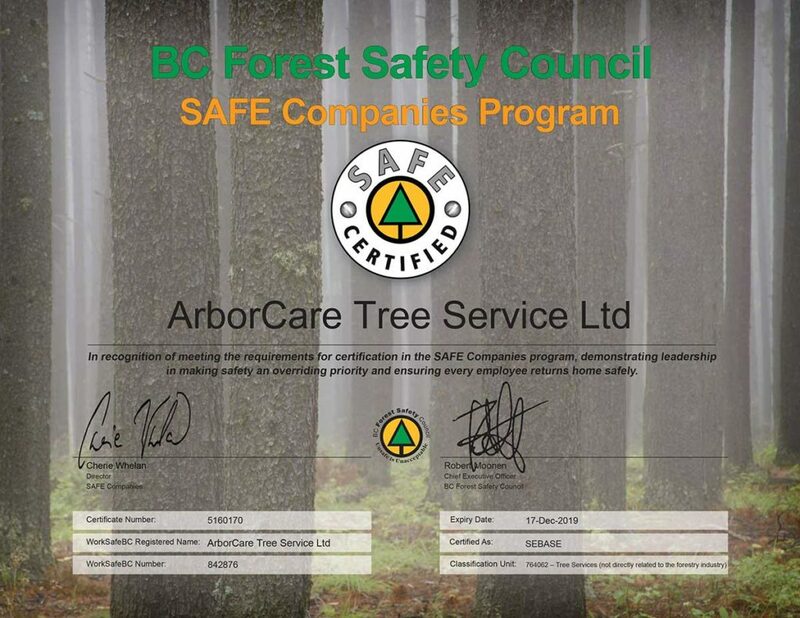 TCIA Accreditation means ArborCare Tree Service Ltd. adheres to all the accreditation standards and has undergone a rigorous application process. 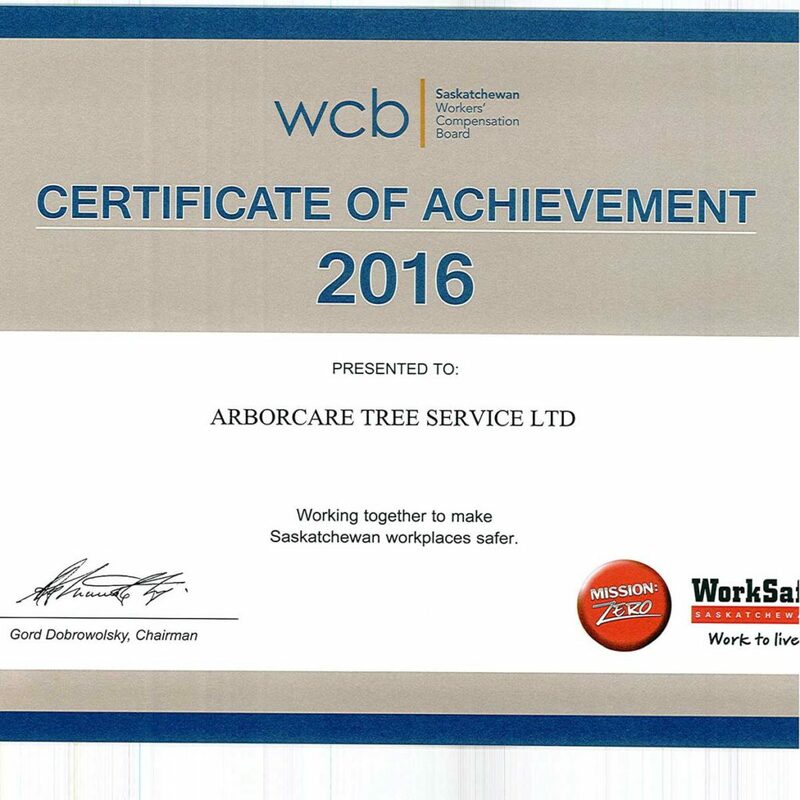 TCIA verified this by conducting an on-site audit of ArborCare Tree Service Ltd.
TCIA Accreditation for ArborCare Tree Service Ltd. is in effect for a period of three years, with renewal check-ups required every year. 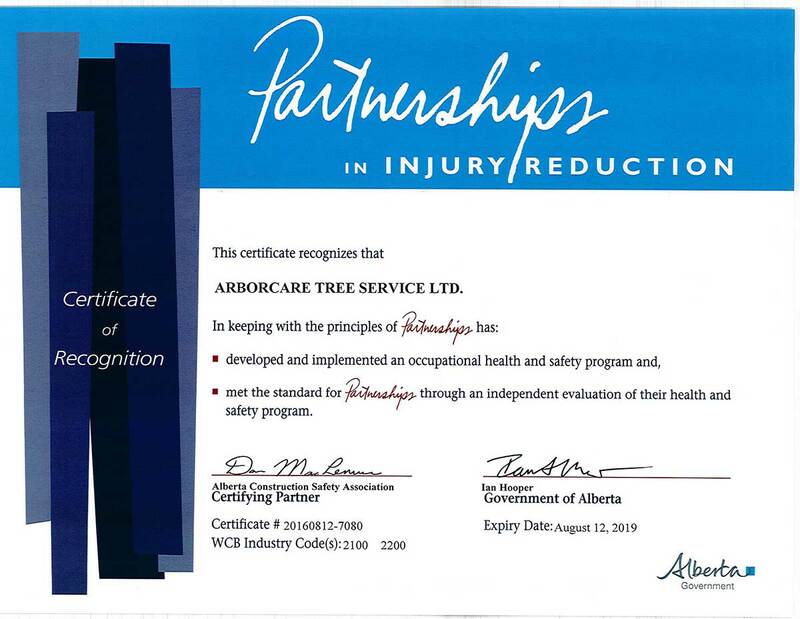 The annual renewal ensures that the required number of certified arborists are still employed on staff, that the company is still properly insured, and that the company has a good safety and consumer satisfaction rating. The company is re-accredited every three years. To get started with services from a company committed to safe practices, contact us today.